We all have those moments when we don’t want to talk to a certain person, but blocking calls is not always a good option. Whether it is a call from your co-worker or family, you probably want to know what they have to say. Fortunately, you can send all calls to voicemail from a specific contact on Android and find out what they have to say. The ability to send all calls to voicemail from specific contacts is built into Android, so you don’t need a third-party app. However, voicemail service is chargeable or unavailable in some countries, so make sure you inquire about it from your cellular service provider. 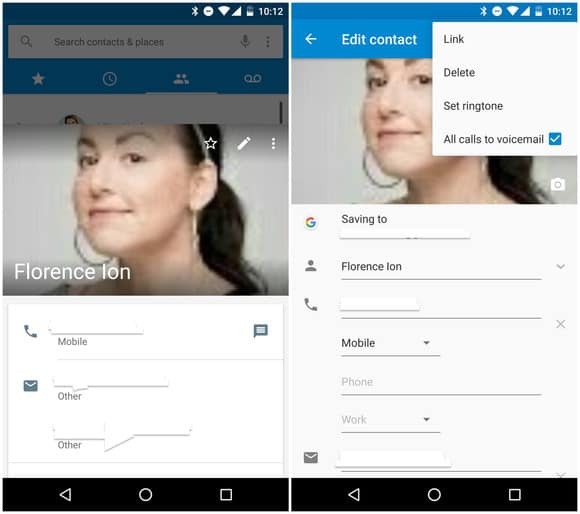 Start off by opening the “Contacts” app on your Android device and navigate the desired contact. Tap on the contact and then press the “Pencil” icon on the top-left corner, which may appear as the three-dot menu on some devices. A slide-down bar will appear, with different menu options including “All calls to voicemail”. Tap on the empty checkbox next to it and rest assured that your Android will send all calls to voicemail from that specific contact. Note: This feature is found on most Android devices, but you may not be able to see the “All calls to voicemail” in some circumstances. The feature may not be available if your carrier does not support it, or if you use carrier-provided Android device. Are you able to use voicemail on your Android to send all calls to voicemail? If you need help doing so, or have something to add to the post, let us know in the comments below.